Anyone who's still able to use truecaller services in their Windows phones? In W10M or even WP8.1? 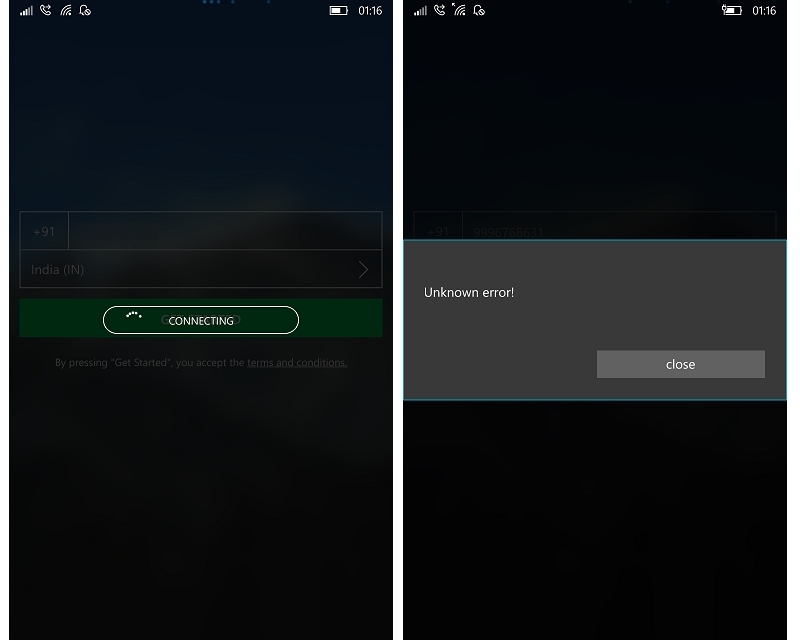 I've W10M (15254.527) and I can download the app, but it gives "Unknown error!" just before the OTP. I am trying to get it work from sometime with no success. Anyone got it working in any WP8.1 or W10M? I tried resetting app data | re-installing the app | soft-reset. The app's not working on my wife's 930, and hasn't been for some time. 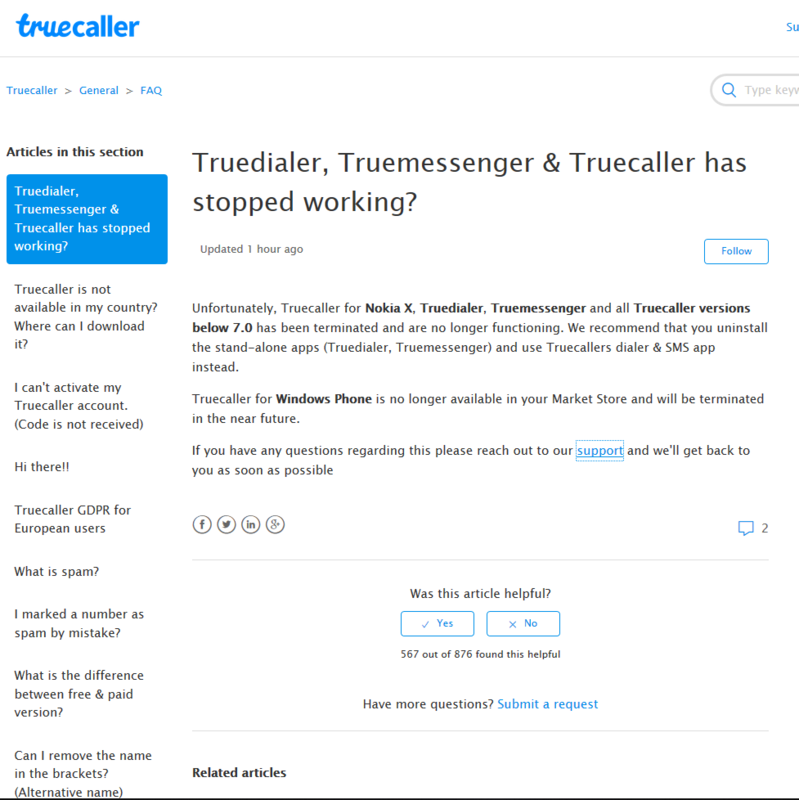 I think TrueCaller dropped support for Windows Mobile a little while ago. I've told her to use the built-in Blocked Calls feature whenever she gets a call from a scammer, but TrueCaller was great for this while it was still working. Not the answer you're looking for? Browse other questions tagged windows-10-mobile apps windows-8 windows-mobile or ask your own question.